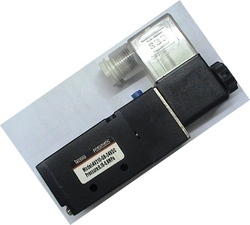 Leading Manufacturer of double solenoid valve, 2w diaphragm valve, oil removal filter, single solenoid valve, 5/2 single solenoid valve and turning actuator valve from Mumbai. 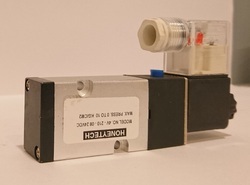 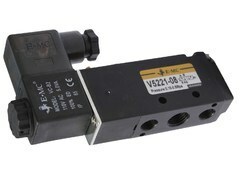 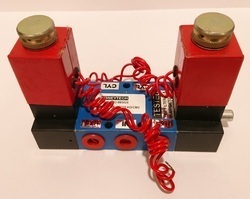 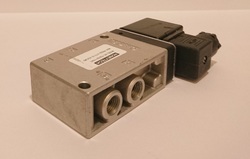 HONEYTECH offers Double Solenoid Valve as shown in the photo. 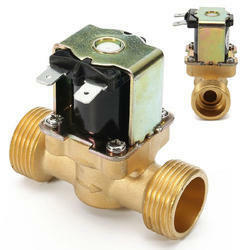 This valve is having rugged construction & is a work horse. 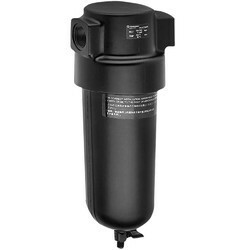 It works for years without any trouble if proper Air Quality is maintained. 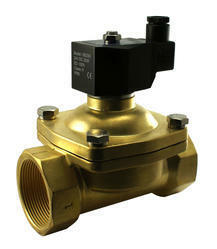 HONEYTECH offers very reliable 2W Diaphragm Valves to the clients. 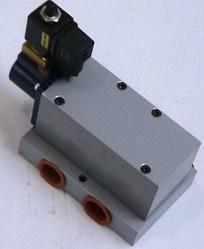 Port Size 1/4", 1/2", 1"
Coil Insulation - Class F.
Looking for Solenoid Valve ?